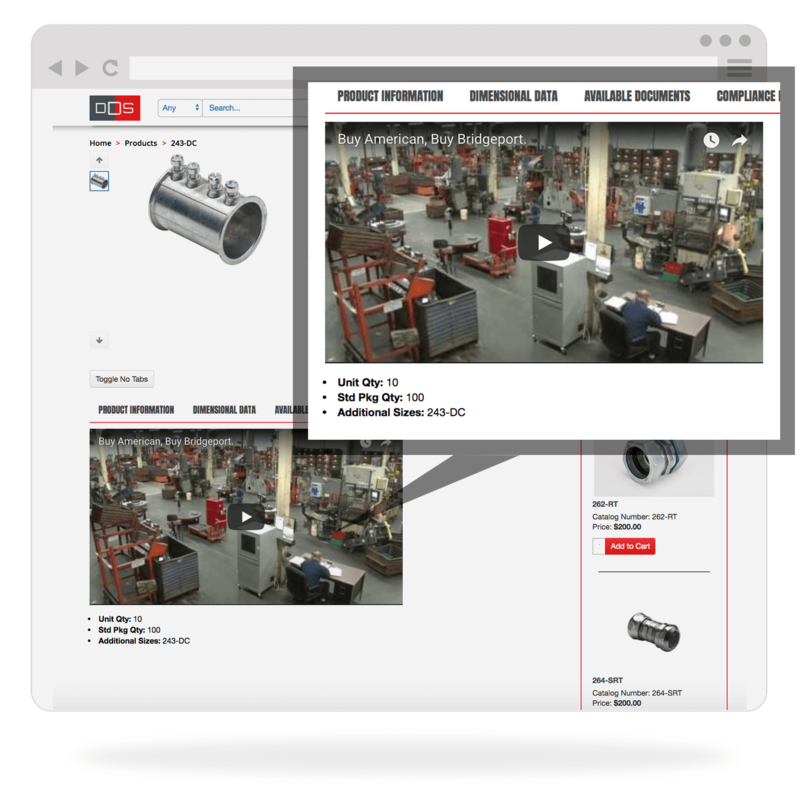 Not all product content is created equal! 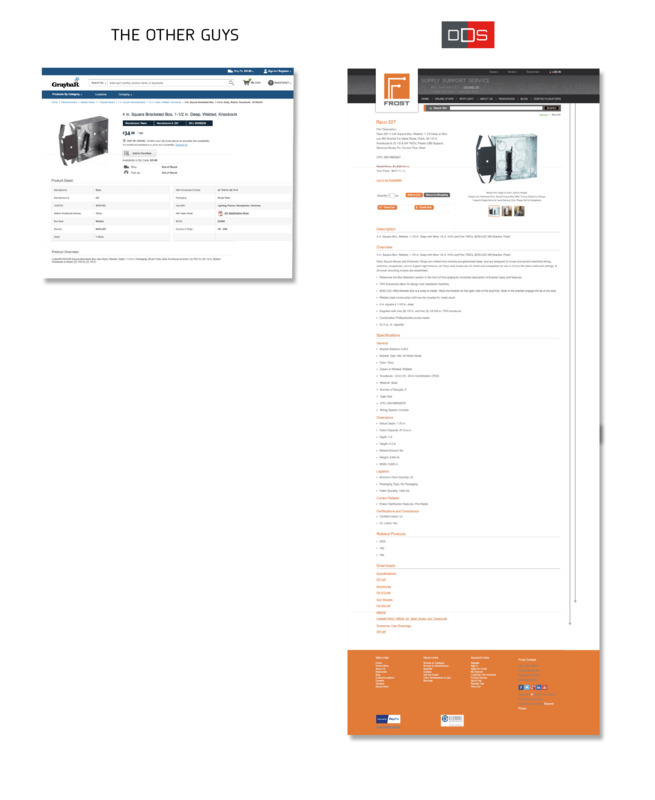 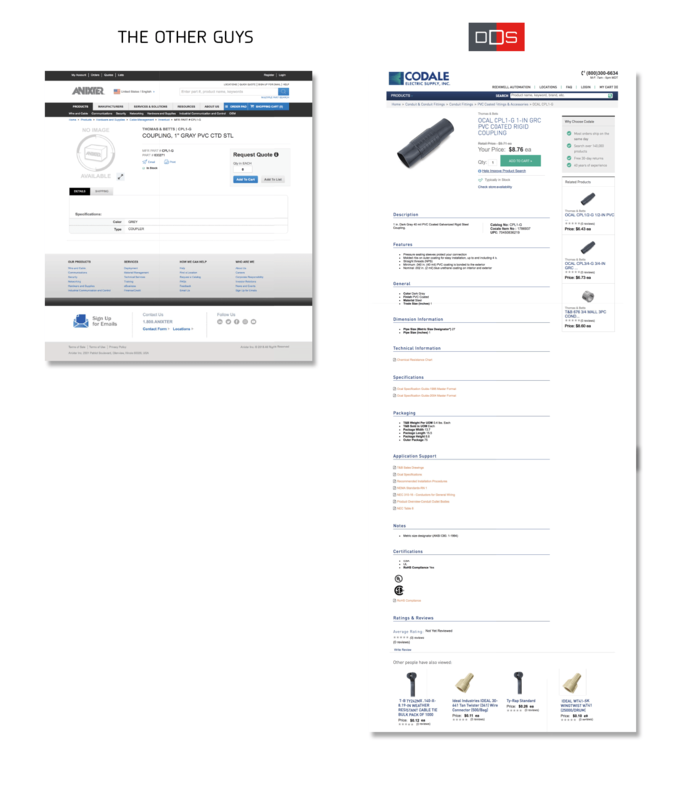 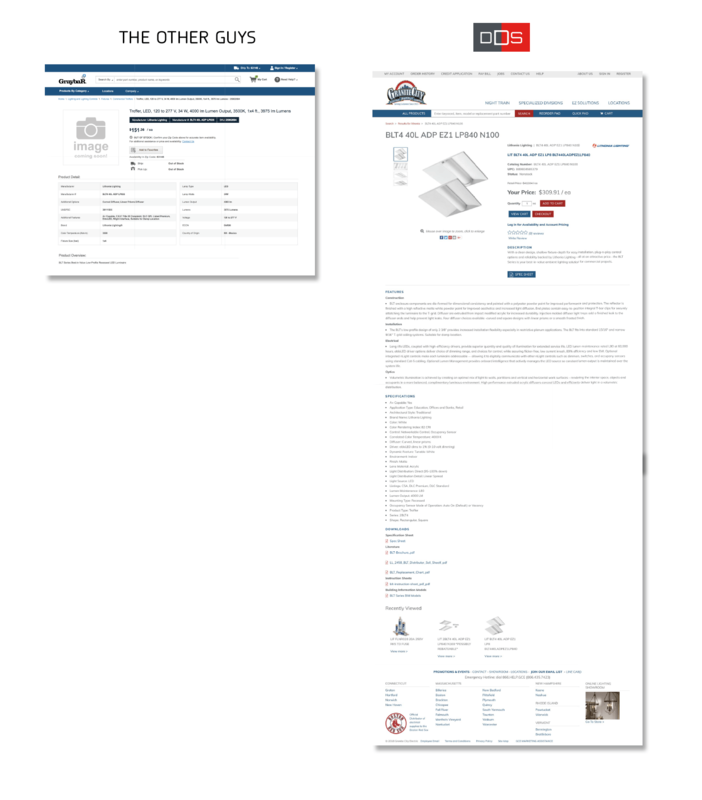 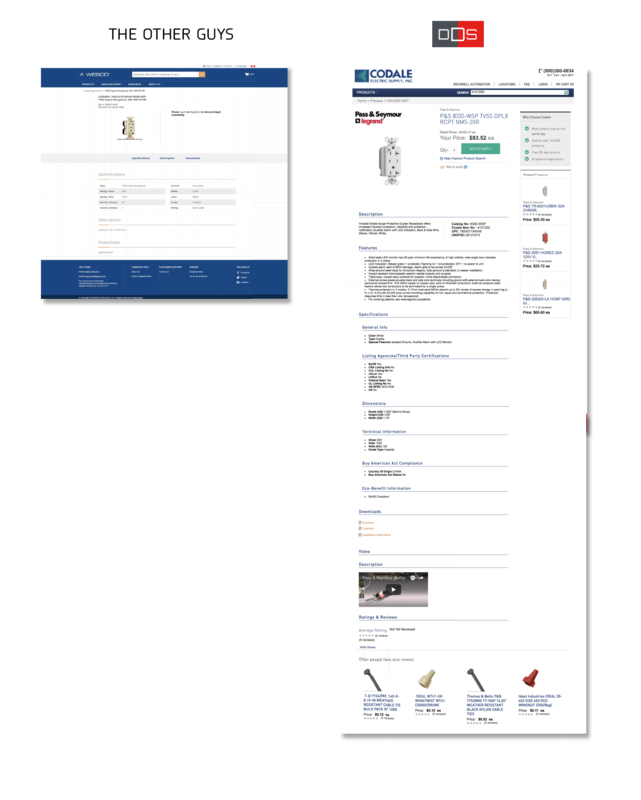 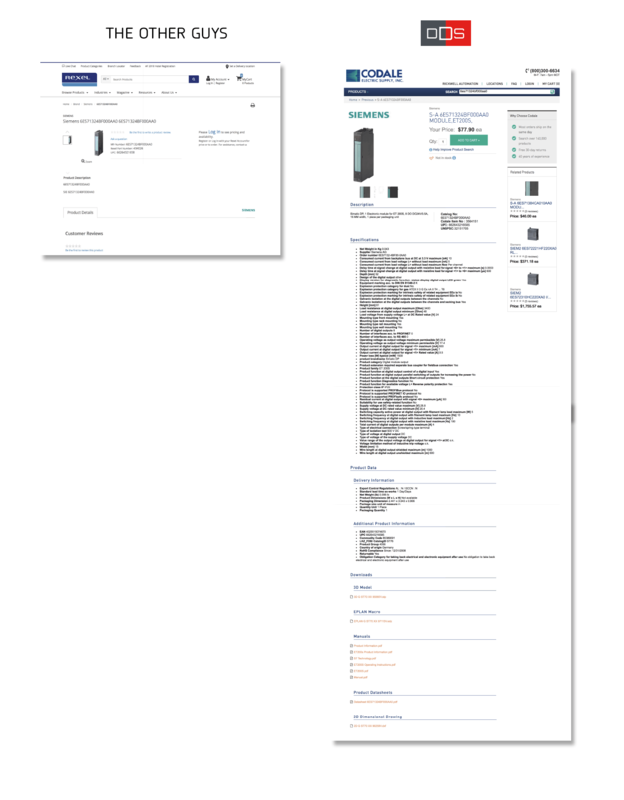 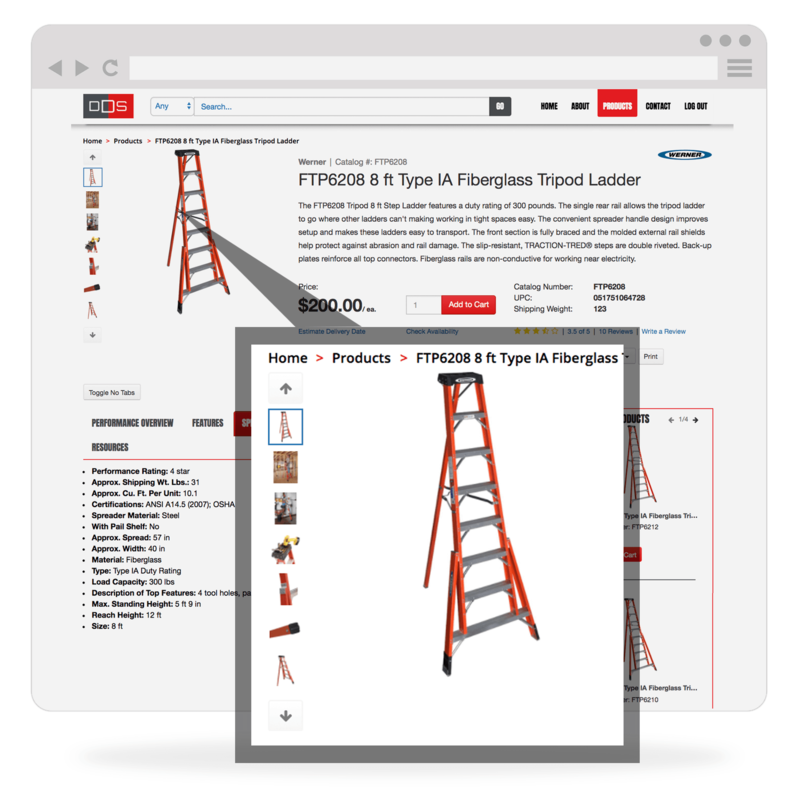 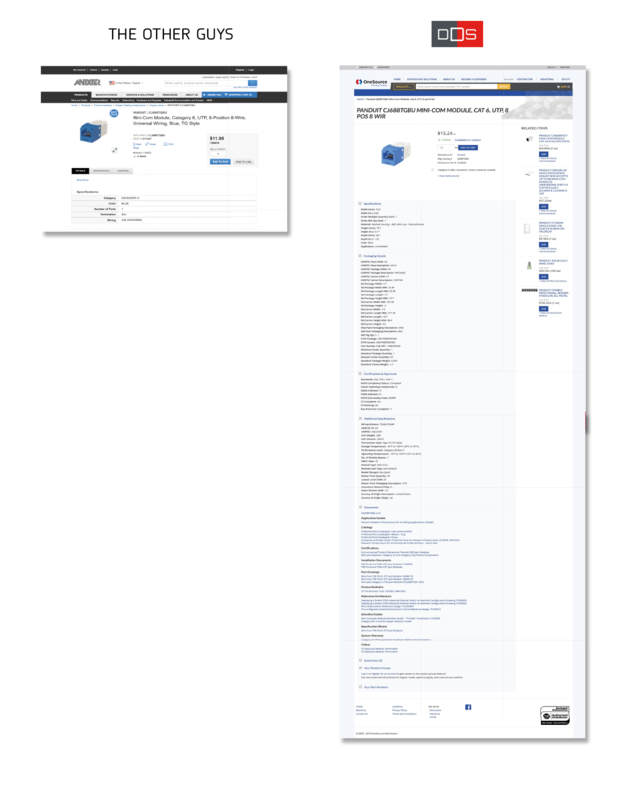 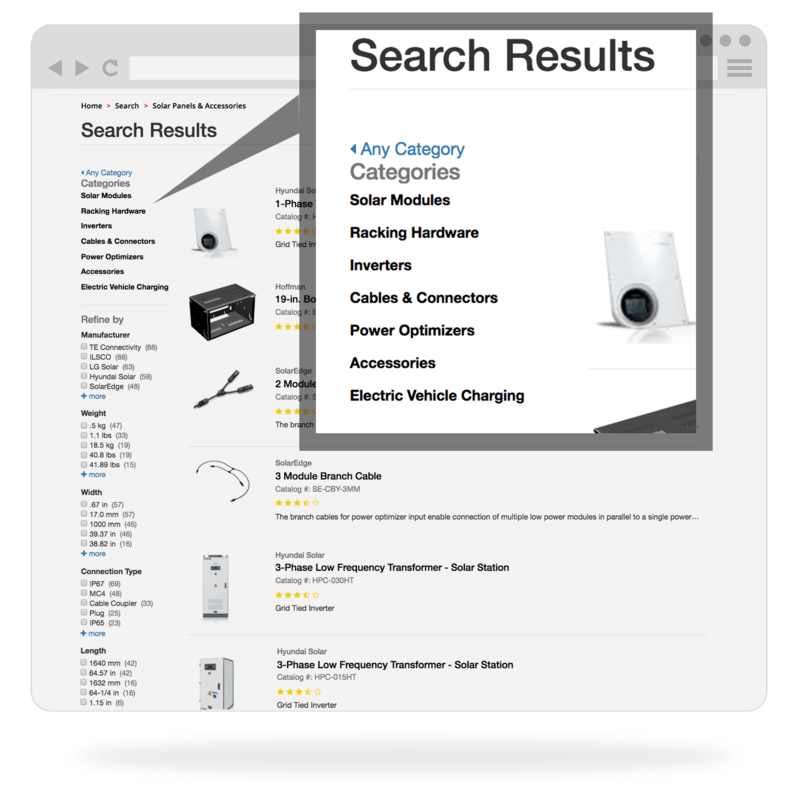 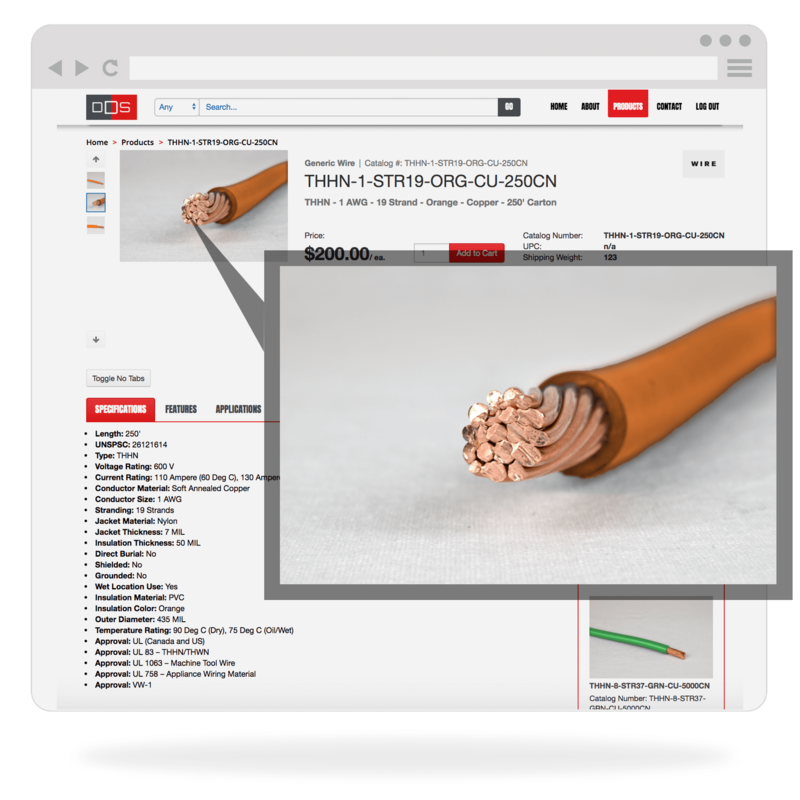 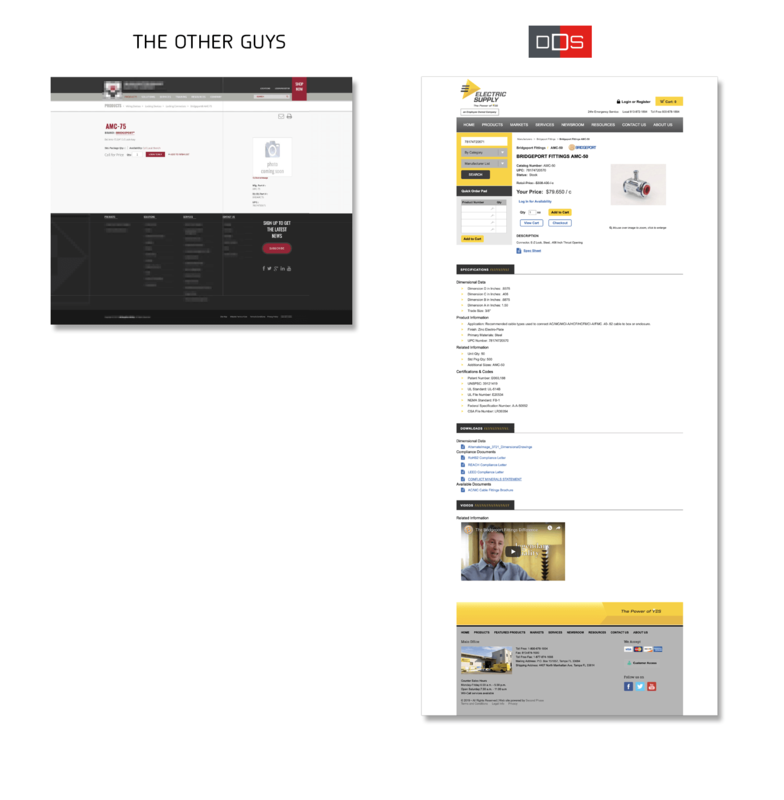 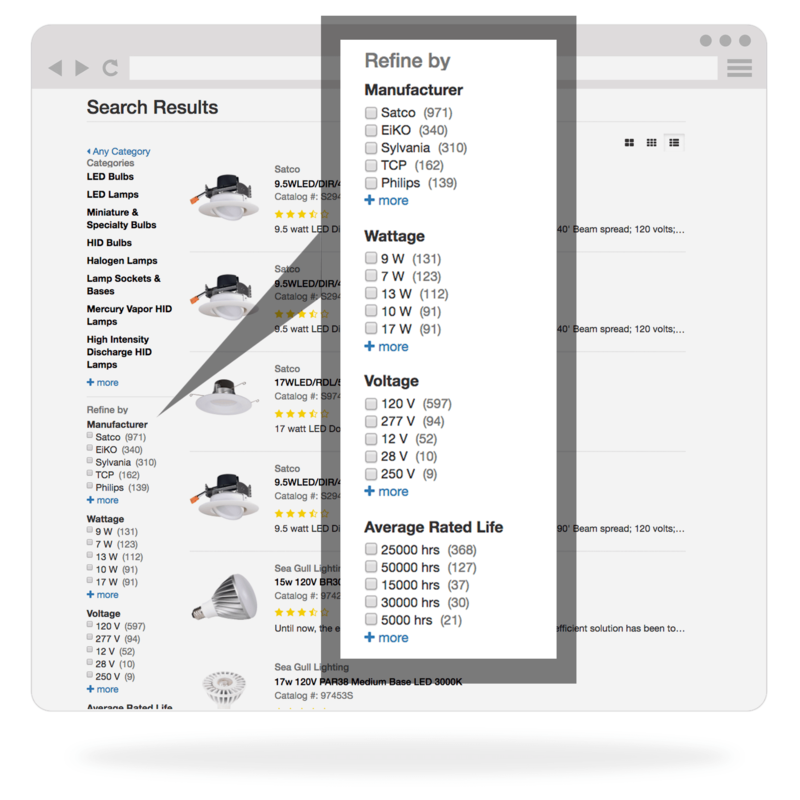 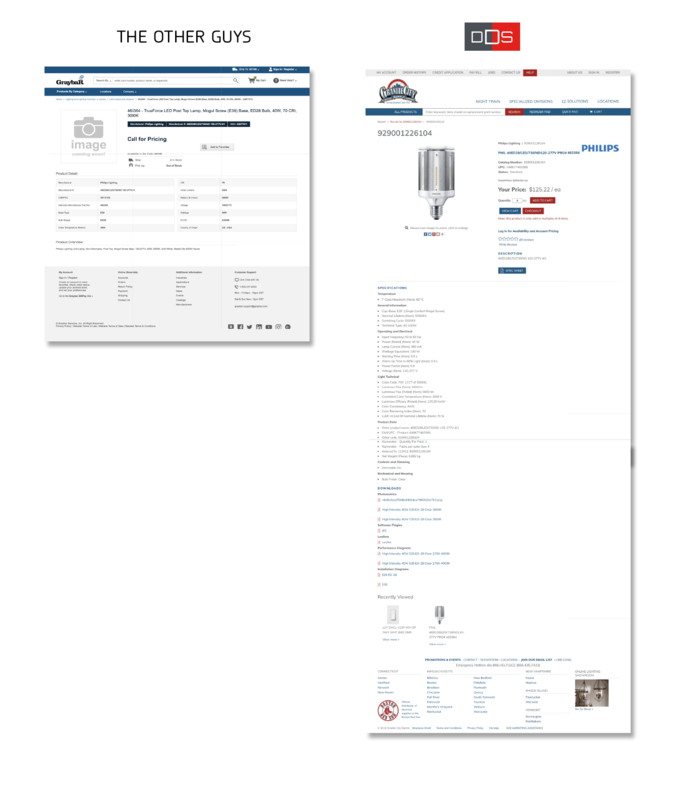 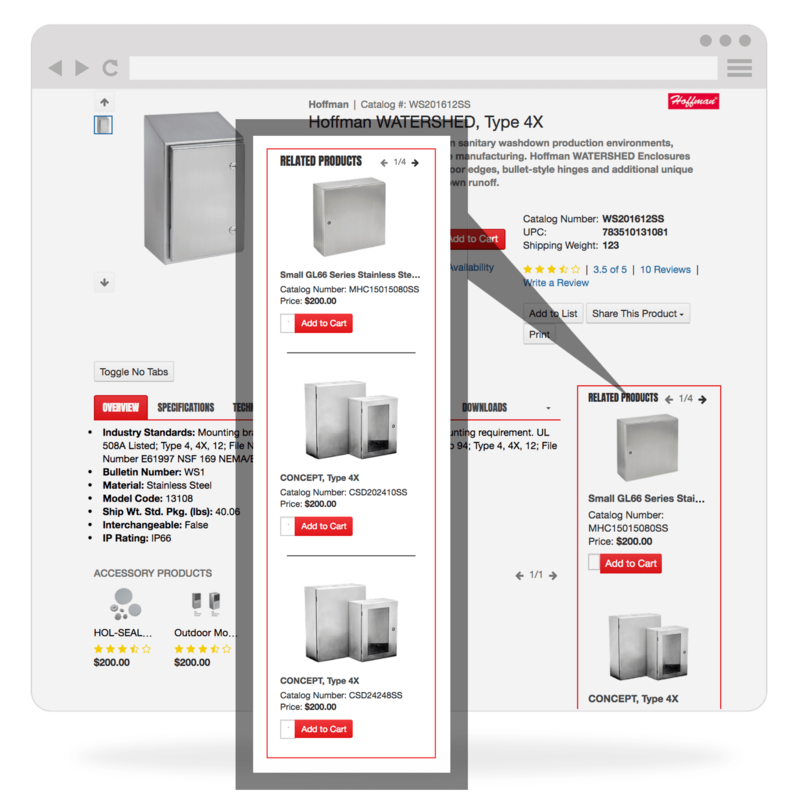 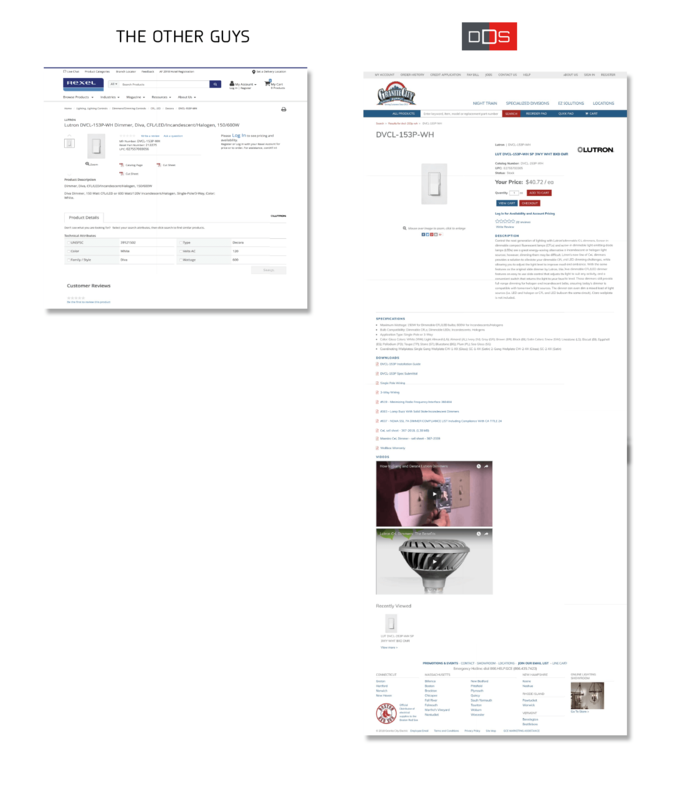 Here are just a few examples of how DDS’ next-generation product content compares to “the other guys.” Click on the thumbnail images below each manufacturer name to view a larger version, and click the [X] at bottom right to close a popup window. 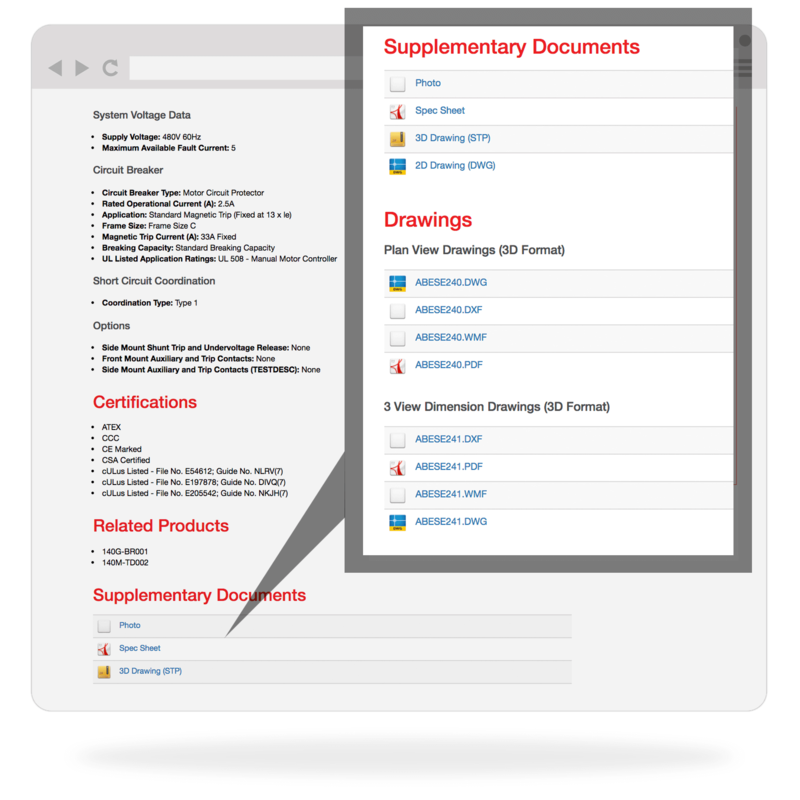 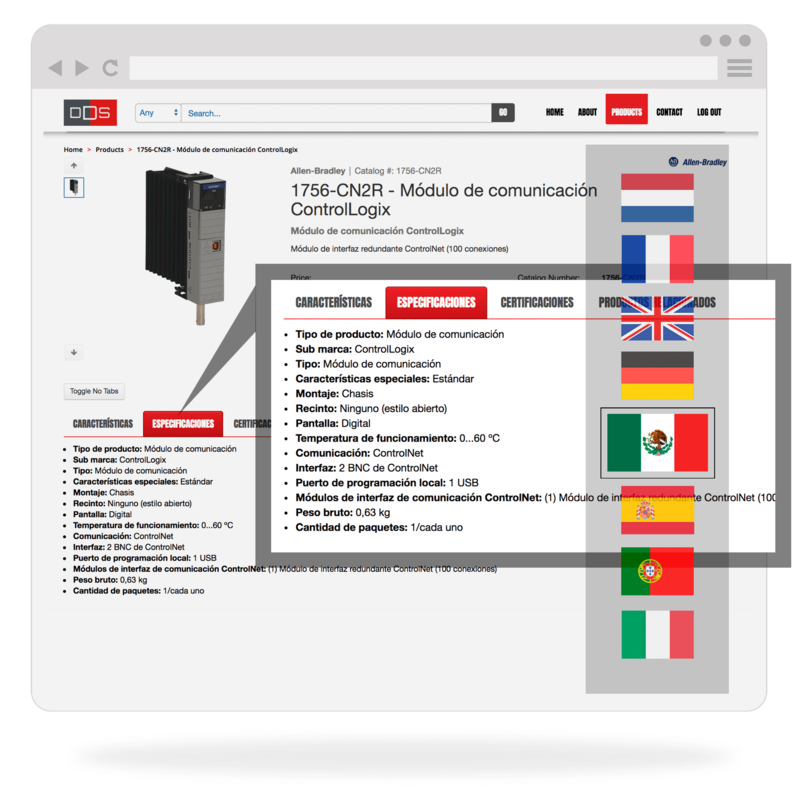 Below are some general examples of the robust, complete and accurate information that DDS delivers. 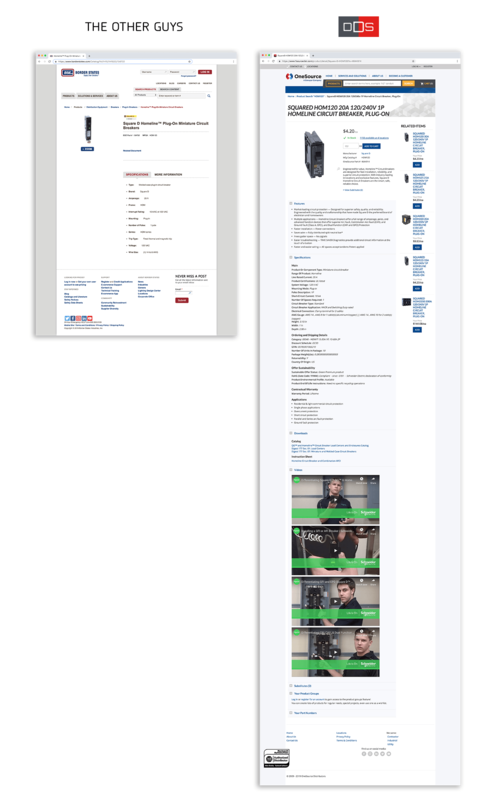 Click on an image (or button) to view a larger version, and click the “back” button of your browser to return to this page.